While many fans have been griping about the various changes in this week's new "Star Wars" saga Blu-Ray (Darth Vader's "nooooo!," blinking Ewoks), one of George Lucas' most famous collaborators is telling fans that he is done with tweaking his classic films. "I tried this once and lived to regret it. Not because of fan outrage, but because I was disappointed in myself," director Steven Spielberg told an audience at Monday night's special screening of "Raiders of the Lost Ark" in Los Angeles. He said he was "overly sensitive" to those who criticized some scenes in "E.T. The Extra Terrestrial," which led him to change it (authorities chasing Elliott and E.T. no longer had guns, but walkie talkies; one child's profane piece of dialogue was removed), and add some CGI effects when it was re-released in theaters in 2002. "It was okay for a while, but I realized what I had done was I had robbed people who loved 'E.T.' of their memories of 'E.T.'" According to Roth Cornet, who attended the event and wrote about it on Screenrant.com, this seemed to be music to the ears of the traditionalist film geeks in attendance (in fact, when Spielberg took a vote, they were overwhelmingly in favor of only releasing the original version of "E.T." on Blu-Ray; and exclamations of "Attaboy!," "I fully concur, Sir Steve" and "Spielberg wins where George fails" flew across Twitter). "I think the audience was really gratified when he said he wished he had not changed 'E.T..' I know I was," Cornet said. "Though Lucas is perfectly within his rights as Spielberg mentions, we still feel that some part of us has been betrayed by his alterations. The part of us that fell in love with those films feels like our love has been rejected in a sense. That our relationship with the films is meaningless in the face of his desire to keep seeking the very thing that is destroying the genius of what he created - perfection." Cornet called this tendency an "empty sense of perfection. The beauty of those films is in that magic, the happy accidents, the archetypal themes, and the collaborative energy that defined them." Fans who disapprove of the changes in the "Star Wars" movies also weren't too happy with the CGI Yoda added to "Star Wars Episode I: The Phantom Menace" in the Blu-Ray version. "The puppets that became Yoda and E.T. were known friends, they had an organic quality to them (perhaps because they were touched by human hands) and the CGI versions were like shadows of those friends, and for many of us our response was to reject them and ask for a return of the 'real thing,'" said Cornet. It's this "organic quality" that traditionalist fans want to keep alive in the films they love. "The lightning in a bottle, flaws and all, is replaced by something sleek, and often disturbingly shallow. Rough edges define creations in much the same way that they define people." Really nothing in Ep1 is so classic it couldn't be improved though. I think the people who are whining about changes just don't understand the nature of art. It's disappointing but not really that unexpected. There is a disturbingly cultish or fundamentalist undertone to many of these comments. These films are just films. If there was any chance that someone's "original" or "virginal" experience of a certain version of them really was going to disappear from existence, then there would be grounds for whining. However, since Lucas is all about milking his franchise for everything it has in all of its iterations, he will always play around with his "vision" of "perfection" and compel die-hard fans (or are they fanatical followers?) to purchase the latest version while demanding a reissue of all previous versions to keep their collections "complete." 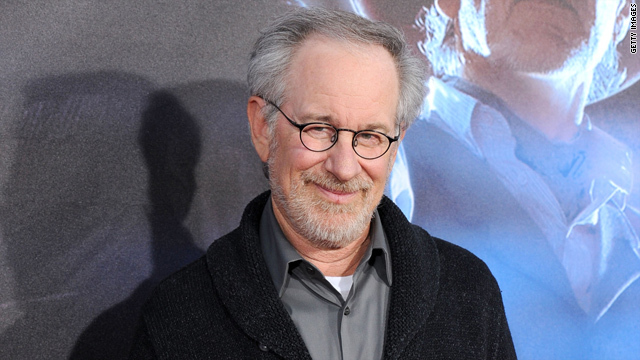 Spielberg redid Close Encounters and ET, and now he feels bad about it. So what. The only significance this can possibly have to those of us who are not cult followers is that he may be considering taking up the Lucas Game Plan and redoing his classic films just to generate the needed controversy in order to drive future sales. Outside of this, does it really matter? The "original" versions of all of these films are available in various forms and in tremendous abundance, so there is no realistic chance that anyone anywhere at anytime in the future is going to be "robbed" of the experience of viewing "their own first exposure" to whichever version they happen to see first. As a certain actor said when channeling his most famous character, "Get a life!" Steven Spielberg used to have the "Golden Touch". Now its more like the "kiss of death" when you see his name mentioned on anything. He used to be able to relate a STORY which was the main part of the movie first. Now he recycles effects to make stories about and its sooooooo obvious. Its more like Hey I got an idea ! What kind of CGI stuff you got left over? I can can make you a movie around it because NONE of my movies have plots or any decent story line anyway. Keep donating all your money to worthy causes and stay away from thinking you have some NEW ideas. Yer burnt out (more like to a crisp). JJ Abrams makes you look like a beginner! Remember how professinal boxers don't know when to quit? Thats you Mr. Spielberg get over it and your massive EGO! I refused to buy the original Star Wars Trilogy on DVD until they released the original theatrical versions, which they finally did a few years ago. I've always respected Spielberg's work. I like Lucas, too, but I wish he would focus on new material for Star Wars. Either do something before or past Vader-Luke timeline. It's been over 30 years now. The irony is that Spielberg changed “Close Encounters of the Third Kind” before anybody had even heard of “Star Wars Episode IV: A New Hope”. Sorry that Stephen feels that way, but if he doesn't put both versions of E.T. on Blu-Ray, now he is robbing me of my theatrical experience in 2002 when I saw the alterations the first time. Just like if George hadn't put the special editions of Star Wars on Blu Ray he would be robbing me of my 1997 theatrical experience. Optical media is cheap, they just need to put all editions out and let the end user decide what they want to watch. Blade Runner 5 disc Blu Ray set is a perfect example of a director releasing every edition known to man and letting me decide. I like all 5 and a half versions of Blade Runner for their own charm that each holds. Landru, he created both versions. Sorry for sayig it so plainly...I'm really not sure if you realize that.